Without the carrot on the end of the stick why would the donkey go forth? It's always about the search and never about the goal. I think with climbing the whole point is that you can never reach the "cheesecake moment" because as soon as something is realised (ie. climbed) your mind becomes opened to the fact you can do something harder. Perhaps you can call it the cheesecake paradox. The other thing to realise is that the amazing taste you expect of this cheesecake will in no way be satisfied even when you to eat it... it will never taste that good if you actually put it in your trolley and take it home. The amazing taste of the cheesecake is a meta taste I guess. Good luck with the search for the real cheesecake moment! Mate, that's a bit creepy. I'm suffering a bit of post natal depression after just sending my hardest FA, and blogged about the phenomenon just 17 minutes after you'd published yours. I hit the publish button, and then saw yours pop up in my Google Reader. Freaky! Life is meant to be enjoyed, and connecting pleasures to arbitrary targets is faux. 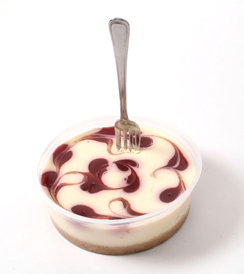 If you want a cheesecake, have a cheesecake, and enjoy without guilt. Dave, if you haven't had cheesecake in so long, make sure it's a good one. Share it with Claire, take your time, savour each mouthful ... oops, I'm dribbling on the keyboard. Buy the cheesecake. Eat it. Film it. I wish I had a cheesecake like your's. I have just eaten 6 custard creams for no reason. Alternatively it seems you've built this cheesecake up so much that it could never provide enough satisfaction in the actual eating of it. Maybe giving in would only tarnish your achievements? ha, ha, I just love that post! don't you see that the cheesecake is waiting for you? it's been in your head for a long time and it will not let you go! just get it over with! Man, I could murder a cheesecake right now. Don't do it Dave - The cheesecake is evil. I can't believe someone as accomplished as you hasn't eaten cheesecake yet, you must. After all that you have achieved and the spiritual position you have reached surely now is the time. An incredible CV, keep up the entertaining posts and never stop posting again please. Dave, despite the Mac name are you sure you have Scottish roots? Most of us would have eaten the cheescake then drank the 11 pints! Not to mention 1200 kcal kebab on the way home! At least you know your motivation is more carrot (or cheescake) than stick. "Hey john, that weird bloke is back, the one who keeps touching the cheesecake!" they know your name now dave!!! mate, just eat the cheesecake!! accept it and move on!! Dude! I read this post a few days ago. Yesterday I finally sent my longterm projekt. A girlfriend offered to bake me a cake, and I turned it down! All you fault. Claire, sounds like you need to make raspberry cheesecake and feed it to Dave. He'll eat cake you make (gingerbread, carrot cake etc etc) and clearly manages all his hard projects. Dave, how do you know that cheesecake power is not the very thing you need?? Try it! Having said all that, I suffer from the same problem...just maybe not at quite the same extreme level! I say no way! First the cheesecake, then an extra pint. Next you'll be pictured like Michael Phelps in some tabloid doing God knows what. It's a slippery slope best not begun. I reckon not eating cheesecake easily rates as an ongoing 8c. Don't feed the beast! Dave, its as simple as what goes in the mouth must be put out as energy. So how about making it a balance and cycle from home to morris eat cake then ride home. Then do loads of climbing and don't eat much the rest of the day. I love fell running and have had a few of these as a reward after a full day in the fells. What if when you eventually have it, it isn't nice. It would be ea bit of an anticlimax. 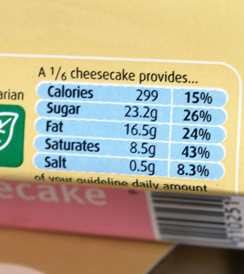 the (cheese)cake is a lie.